Every time I enjoy a really great piece of art, I find difficult to try to analyze what I saw, to explain the main and the secondary meanings, to divide and decode the signs. I find mostly difficult to convey the experience of completeness with words. When all these happen, this is a sign that the show is great! Something like that happened with “The Great Tamer”! An easy way to face all these barriers is to speak about the direct and the indirect influences of a work. 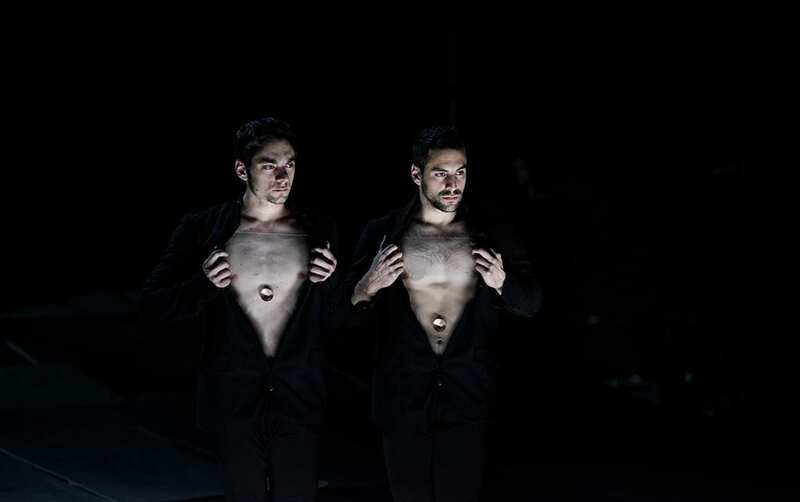 So, without doubt, we could find many and interesting influences in the new creation of Dimitris Papaioannou, which premiered in 24th of May in Onassis Cultural Center in Athens, and it is worth mentioning that it is the first international co-production for the Greek artist. First of all, we can separate these influences in two; some external sources of inspiration such as the music of Johann Strauss used by Stanley Kubrick in the film “2001: A Space Odyssey”, the scene inspired of Rembrandt’s “The Anatomy Lesson of Dr. Nicolaes Tulp” or the value of fragmented art by Samuel Beckett. On the other hand, in “The Great Tamer” we can find many self-references from the previous works of Papaioannou. We can recognize the human complex-statues with legs and hands as in “Primal Matter”, the focus on ground as in “Still Life” and of course the illusions and the sense of “Greekness”, which permeates all his works. All the above (influences or self-references) are combined with new elements such as a distinct sense of humor or the circus atmosphere, to create a completely new work, which raises the eternal issue, the history of human. The story of “The Great Tamer” is the history of man, his agony for life, his fear of death, his roots, his land and his body on and under the ground. 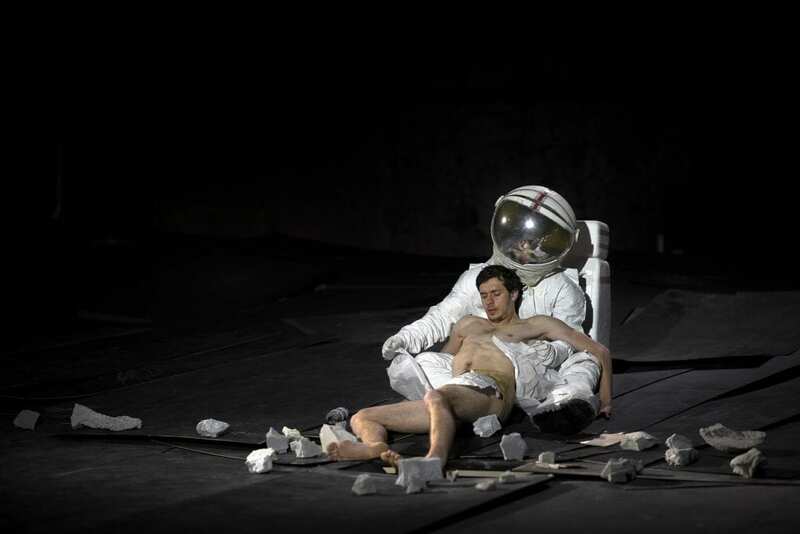 Apart from being a summary of Papaioannou 30-years route, the performance also touches the route of human kind through the reuse of material substance. This story has been ideally expressed, by the ensemble of 10 skillful performers with such rhythm and quality that they seem to become part of their director’s vision. In conclusion, The Great Tamer” is a tricky and sarcastic work, in which Dimitris Papaioannou – the artist who first presented his shows in alternative places with “Edafos Dance Theatre” in 1986 and became widely known in 2004, as creator of the Opening and Closing Ceremonies of the ATHENS 2004 Olympic Games – uses familiar tools in order to dig deeper and unveil new and unknown ones, which may presage a new artistic period for him.